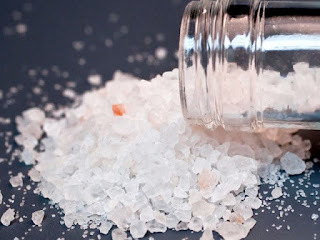 Cathinones are a family of synthetics better known as bath salts or the zombie drug. Various street names have been applied such as krokodil and flakka. 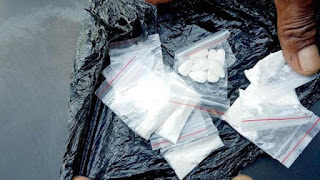 It is a stimulant with severe psychoactive effects. The drug is hallucinogenic and causes panic and intense hysteria. Flakka can be smoked, inhaled, injected, swallowed, even vaped. Users exhibit demonic-like behavior and superhuman strength. Last year the U.S. had a flakka-related incident where a teenager stabbed a couple to death before eating the man’s face. It took four police to apprehend the youth. Users pose a serious danger to themselves and those around them. Users recall feeling brain-dead and paralyzed. There are reports of people having sometimes fatal heart attacks and strokes. Cases of kidney damage, liver damage and psychosis are common. The drug is extremely cheap and addictive. It can raise serotonin and dopamine which initially makes users feel good but that fades once the delayed effects take hold. The effects last between three to five hours.